Avoid this in IELTS Writing and Speaking! Read more "Avoid this in IELTS Writing and Speaking!" Read more "IELTS Writing Task 1 Process – Tsunamis"
Read more "Discussing censorship in IELTS Writing and Speaking"
Read more "Linkers for IELTS Speaking"
IELTS Online Course for only $9! 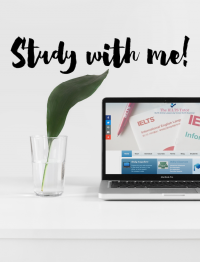 Read more "IELTS Online Course for only $9!" Read more "Common IELTS Topic – Space Technology"